Fluttering Butterflies: Blog Ink videos from six of my favourite bloggers! 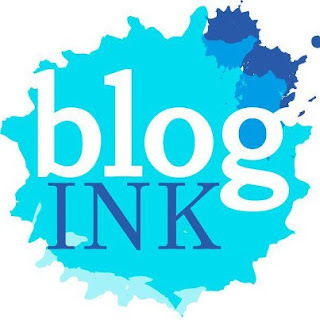 Blog Ink videos from six of my favourite bloggers! Have you heard of this fabulous competition from MiraInk called BlogInk? Six of my blogging friends have gone through to Round 2 of the competition. The prize at the end is a year long paid blogging job and it sounds incredible. For this round, each of the 10 shortlisted bloggers had to make a 60 second video explaining why they should be chosen the winner. I've been asked by several of these lovely people to write a blog post sharing the videos, but I felt like all of these ladies are my friends and I love them all. So here are the videos of all six of the bloggers that I'm supporting. If any of them won, I'd be very happy! The main thing with these videos is that they needs to have lots of views, lots of 'likes' and lots of comments. So please, please, please, if you have 6 minutes to spare, I would urge you all to view the following videos, hit that 'thumbs up' button and to leave a little comment. If you don't have a youtube account (why on earth do you not have one of those, eh?!) you can leave comments on this blog post but comments on the actual video on YouTube would be preferred! Thank you on behalf of Jess, Rosy, Faye, Lucy, Sya and Sophie! First up, we have Faye... I recently met Faye at a blogging event with Random House and she's very lovely. Since then, I've chatted with her a bunch on Twitter and I really especially love the feature that she co-runs on her blog about going behind the books. I do so love when other bloggers dig a little deeper and share with their readers something of a personal nature, like Faye does with this feature! In her video, Faye talks about blogging and why she and so many people do it. Are you Team Faye? Next up, is this wonderfully different video by Lucy and her adorable feline friend, Pushkin. I love the Gossip Girl-esque feel to the mystery behind 'who is Lucy?' Plus, I just think Pushkin is a beautiful cat. I'm really not a cat person myself, but who can resist a cat reading a book or doing a domino-book thing?! Plus, I've met Lucy before and had the pleasure of browsing the YA section of bookshop with her. It was fun! And there's Rosy! Who I think deserves the award for the most enthusiastic video. Again, I've met Rosy at the Random House blogger brunch, and I have to say, immediately after having a conversation with Rosy at the last brunch, I went out and bought myself a copy of The Night Circus by Erin Morgenstern. She just talked so passionately about the book that I felt like I was missing out on something important by not reading it. Oh, I do love Sophie! I randomly bumped into Sophie absolutely AGES ago at a Chicklist event. And then again at an event in Bath and maybe another time in between? And Sophie is wonderful to chat with. Her reviews are some of the best, I know that if she gives a book a thumbs up, that I will most certainly love it as well. And last but not least, is Jess! Jess is absolutely lovely - a really wonderful blogging friend to have. I do love her blog and I really love what she says about finding the right voice, which I think is very important in matching the right books with the right people. Is Jess the girl for the job? You decide. Do you have a favourite BlogInk video? Good luck to all the wonderful book bloggers! I loved all the videos. Thank you so much for doing this, Michelle!